Molecular imprinting is a rapidly growing field with wide-ranging applications, especially in the area of sensor development, where the process leads to improved sensitivity, reliability, stability, and reproducibility in sensing materials. 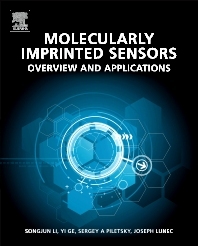 Molecularly Imprinted Sensors in Analytical Chemistry addresses the most recent advances and challenges relating to molecularly imprinted polymer sensors, and is the only book to compile this information in a single source. From fundamentals to applications, this material will be valuable to researchers working in sensing technologies for pharmaceutical separation and chemical analysis, environmental monitoring and protection, defense and security, and healthcare. Scientists, students and researchers working in the fields of analytical chemistry, molecularly imprinting, sensors, electronics, materials, biotechnology, nanotechnology. Professor Songjun Li is Head of the Department of Polymer Materials at Jiangsu University, Zhenjiang, China. He is President of the Chinese Advanced Materials Society, Executive President of the International Union of Advanced Materials, and Founder and Permanent Chairman of the International Congress on Advanced Materials. 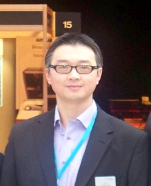 Li serves as Editor-in-Chief of the Open Electrochemistry Journal, and Journal of the Chinese Advanced Materials Society (JCAMS). From 2009 to 214 he was Marie Curie Fellow and Visiting Professor of Cranfield University, UK. 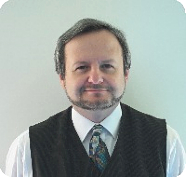 Professor Sergey A. Piletsky is Head of the Leicester Biotechnology Group, University of Leicester, UK and former Director of the Biotechnology Center at Cranfield University, UK. He is Co- Editor-in-Chief of the Journal of the Chinese Advanced Materials Society (JCAMS) and Secretary-General of the International Union of Advanced Materials. He served as Chairman of the 2nd International Congress on Advanced Materials.